Realwheels welcomes your interest, whether you are in Vancouver or further afield. We are inclusive and enjoy working with everyone coming to us with a variety of talents at all different skill levels. 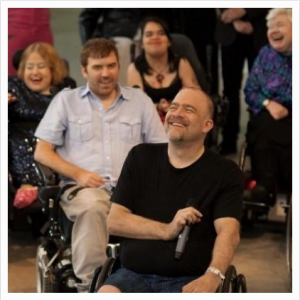 If the thrill to perform within the disability arts culture is fuelling you, we would love for you to come join us at our Wheel Voices weekly workshops in Vancouver. 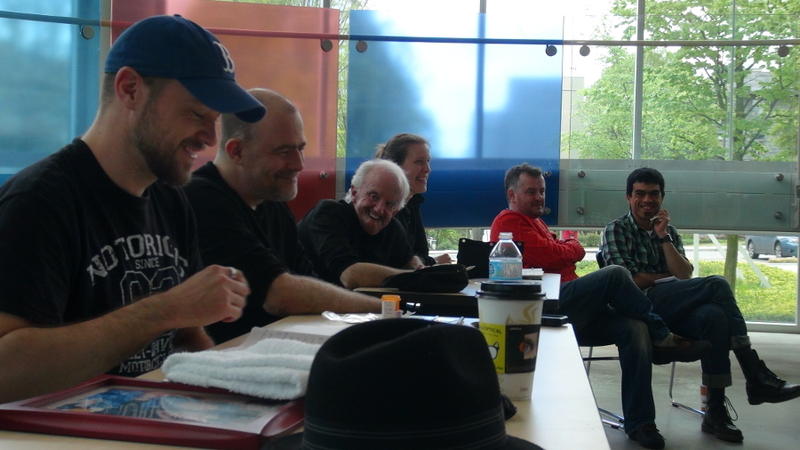 Who wouldn’t want to create with this crew?!? Join us for Wheel Voices on Screen! 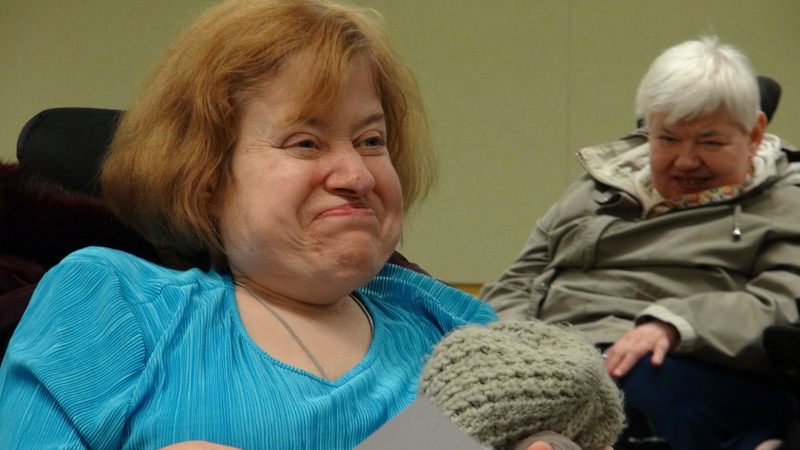 Darlene, with a well deserved smile at her work during a Wheel Voices rehearsal. 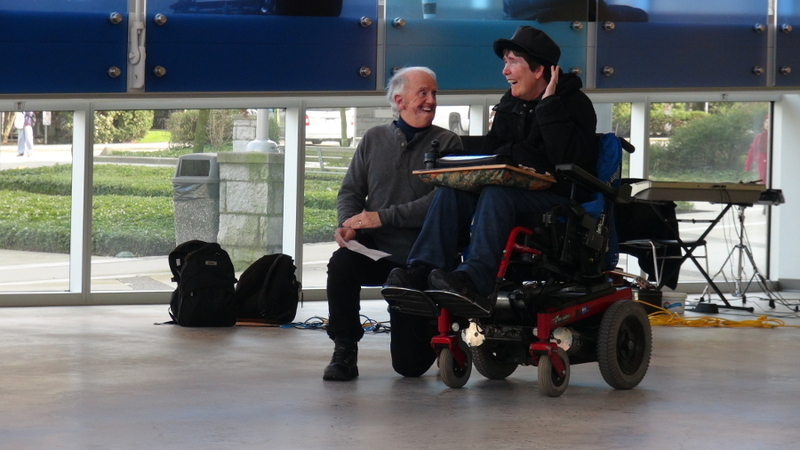 David Roche and Alison working together on a scene for Wheel Voices to the Max! What is your favourite part? 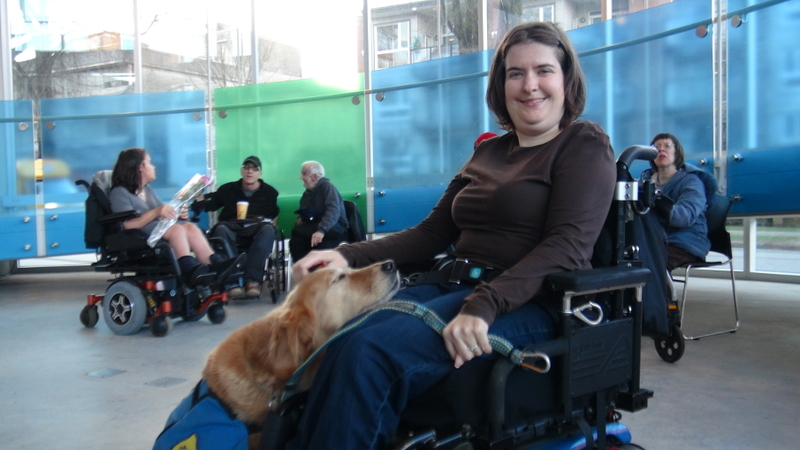 Wheel Voices Performer, Sarah Lapregent and her PADS dog, Skyler! We’d similarly love to hear from you if you are seeking Volunteer Opportunities with us. We can promise you a rewarding experience!